Fun Preschool Giraffe Craft: Find How to Make a Giraffe Hat and Thumbprint with these Crafts! Many teachers wonder how they can spice up their traditional animal or zoo themed unit lesson plans. 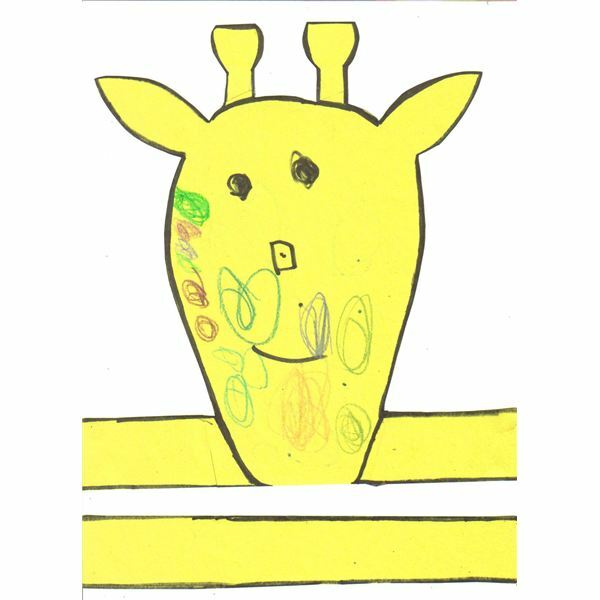 Try something new with this preschool giraffe craft. It is fun, simple to recreate, and your students will love becoming a giraffe. There is also an additional giraffe activity to use in the classroom, for the giraffe lovers out there. The giraffe is often an overlooked animal in the realm of teaching. Break from the norm with these crafts today, and introduce your students to this beautiful, unique animal. Children can easily enter into the world of imagination. This craft will encourage this process. Start with yellow or white construction paper. Trace an outline of a giraffe’s head, allowing room for straps. You have the option of pre-cutting this giraffe hat out prior to handing them out to the class, or you could have the students cut the outline with blunt safety scissors. If you opt for children to use scissors, close supervision is required. Once the head and the additional strap is cut out, the fun really begins! Let your students’ imaginations run wild. Ask them to place a face on the giraffe, and the characteristic spots. You could give them an example with your own hat, or you could provide 2 pre-cut eyes and nostrils for them to glue on. Provide crayons, markers or paints for the medium. Like snowflakes, every hat will be unique. Once the artwork is complete you can tape the straps on so the hat can be placed comfortably on the head of the child. Sit back and watch giraffes come to life! For teachers looking for an extra giraffe craft for their students, then this is the one for you! Materials for this activity include yellow construction paper, and brown or orange tempera paint. 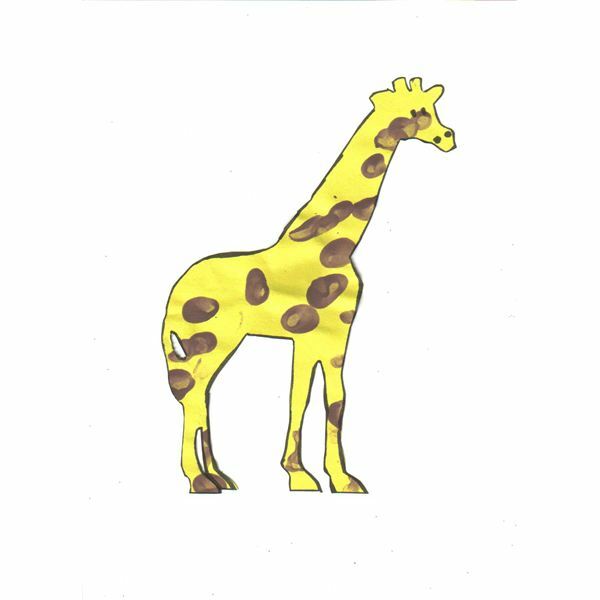 This activity requires a pre-cut giraffe to be handed out to the students due to the smaller detailed outline. However you may choose to offer your students a simpler outline so they can cut it out by themselves. Once the materials are ready for the student, have them create fingerprints all over the giraffe using the paint. These fingerprints will represent the spots on a giraffe. Not only are you introducing the shape and characteristic spots of the giraffe to the student, but you are capturing a moment in time with their tiny fingerprints as well! This preschool giraffe craft, as well as the other activity offers your students a hands-on approach to learning. They can use these crafts alone, along with another animal craft, or as a supplemental addition to any animal or zoo themed unit. Watch the accomplishment in your students’ faces when they place the giraffe hat on their heads, and enter a world of imagination!